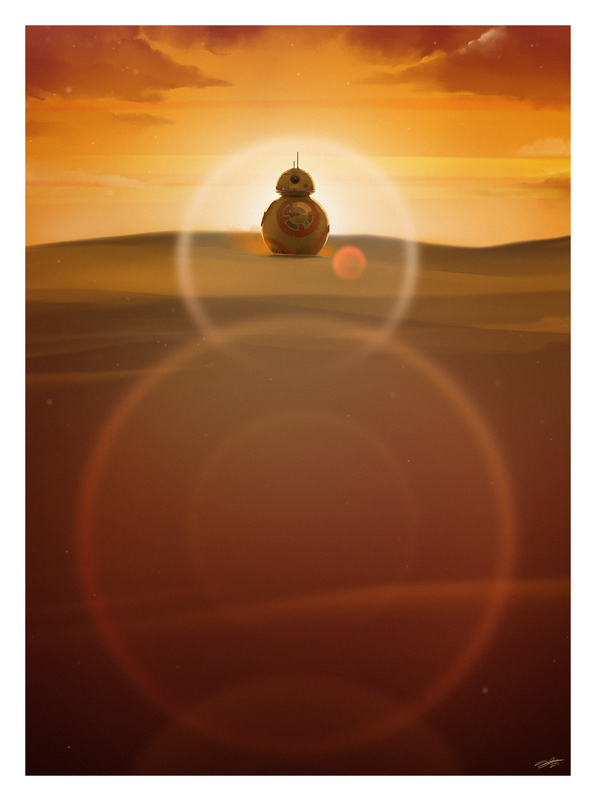 Needless to say, fans are still flocking to the theaters and the lil’ droid is making all of them smile. 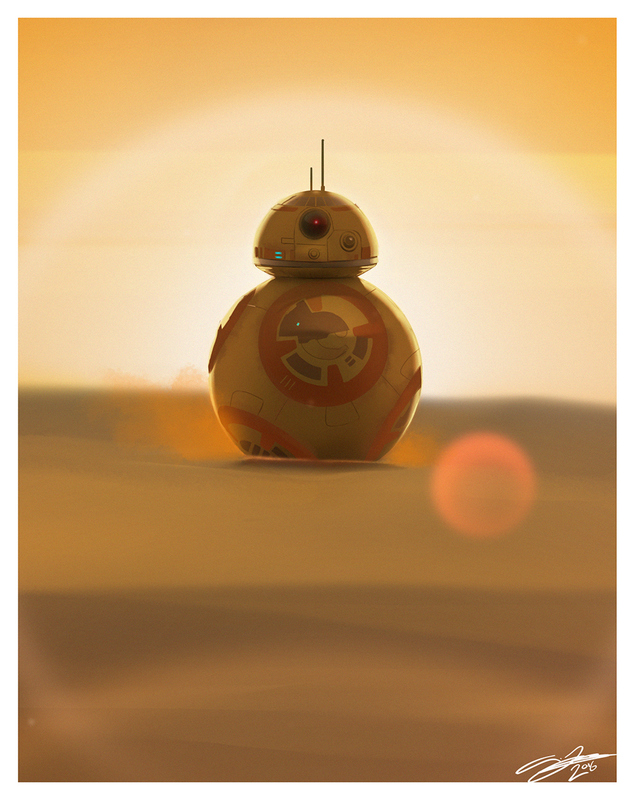 U.K. artist, Andy Fairhurst has paid tribute to the diminutive droid and J.J. Abrams signature lens flare in one stellar print. One day, and we absolutely LOVE it. Be sure to follow Andy on TWITTER for updates on new releases and you MUST head over to his OFFICIAL BEHANCE PAGE to see his impressive portfolio.